In this article, we consider the laminar oscillatory flow in a low aspect ratio channel with porous walls. 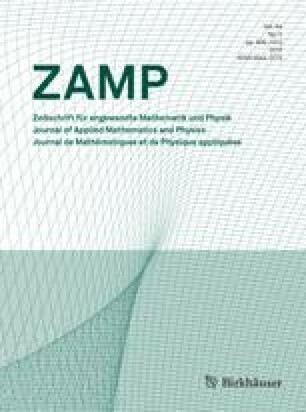 For small-amplitude pressure oscillations, we derive asymptotic formulations for the flow parameters using three different perturbation approaches. The undisturbed state is represented by an arbitrary mean-flow solution satisfying the Berman equation. For uniform wall injection, symmetric solutions are obtained for the temporal field from both the linearized vorticity and momentum transport equations. Asymptotic solutions that have dissimilar expressions are compared and shown to agree favourably with one another and with numerical experiments. In fact, numerical simulations of both linearly perturbed and nonlinear Navier-Stokes equations are used for validation purposes. As we insist on verifications, the absolute error associated with the total time-dependent velocities is analysed. The order of the cumulative error is established and the formulation based on the two-variable multiple-scale approach is found to be the most general and accurate. The explicit formulations help unveil interesting technical features and vortical structures associated with the oscillatory wave character. A similarity parameter is shown to exist in all formulations regardless of the mean-flow selection. Key words. Oscillatory flow, porous walls, multiple scales, WKB, asymptotic expansions.